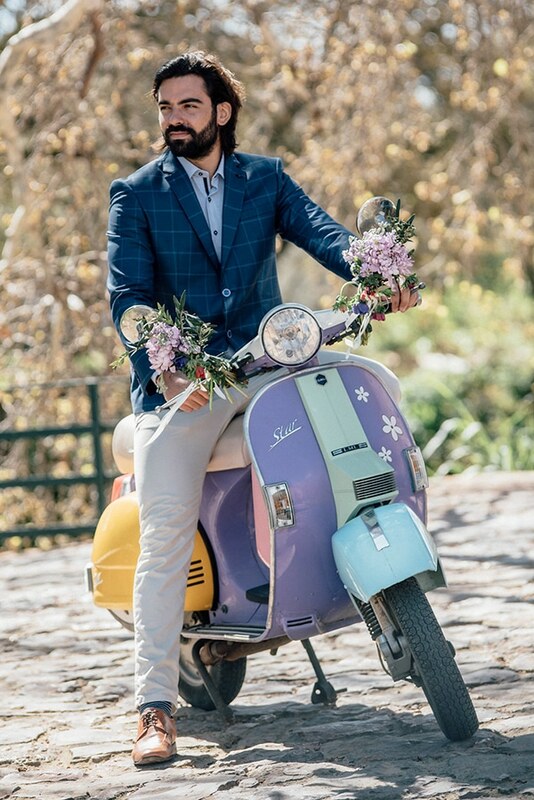 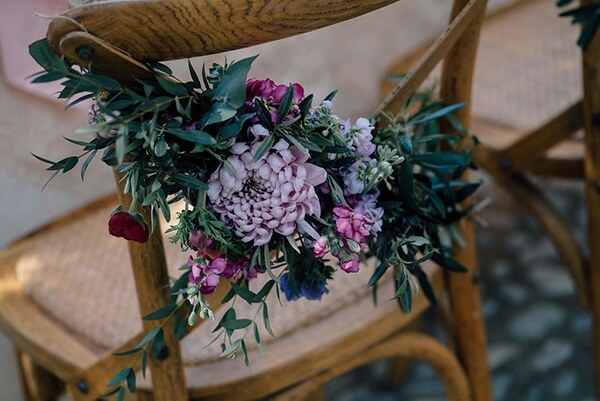 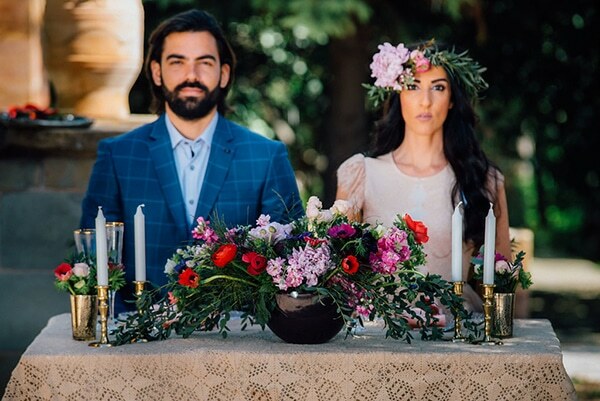 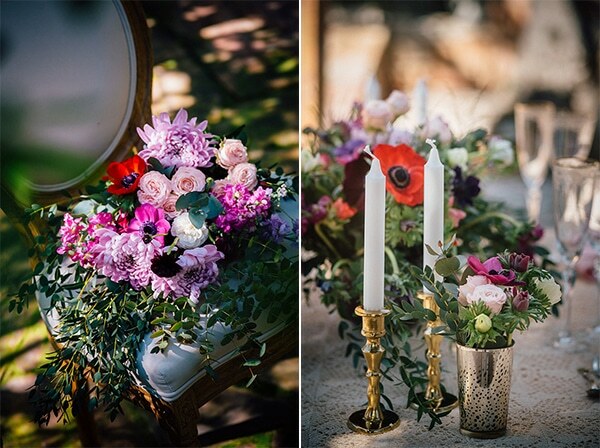 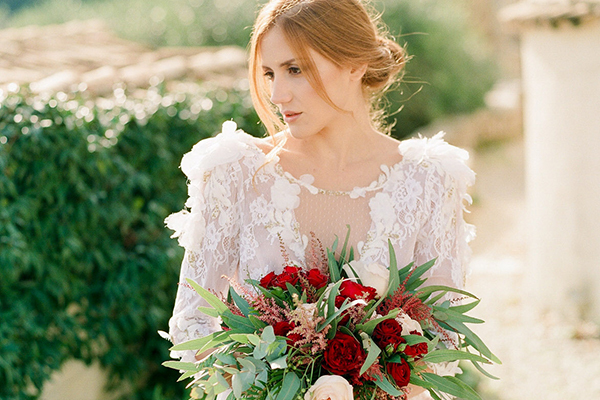 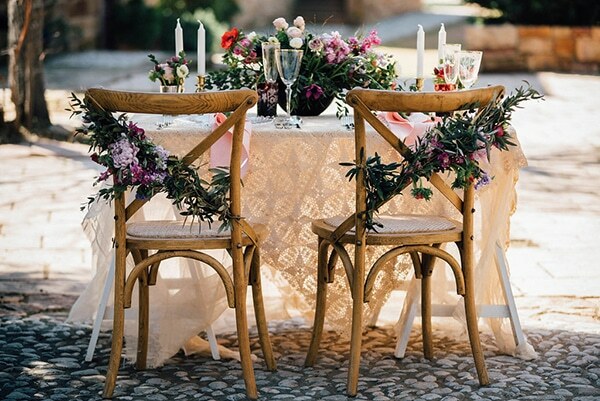 We are sharing today a beautiful inspiration shoot in Chios beautifully planned and styled by Joanna Loukaki! 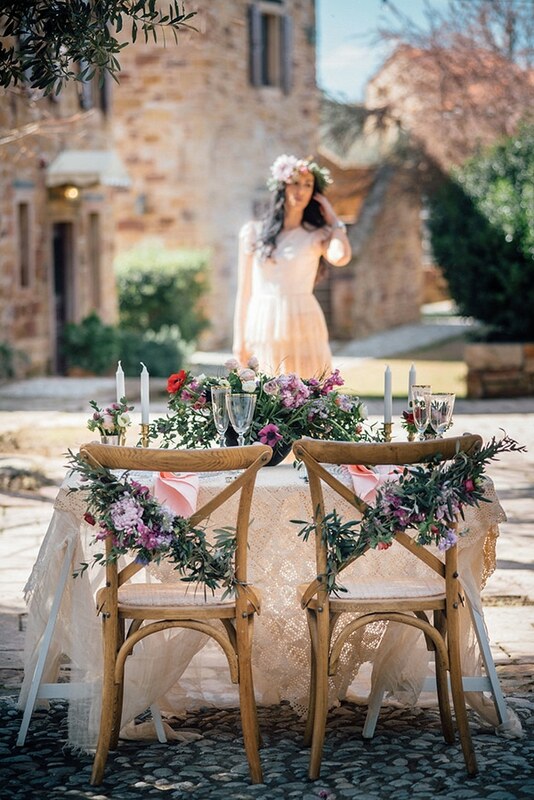 Inspired by the beautiful island of Chios as a great destination for elopements and small weddings, a lovely setting for two was set up at a beautiful mansion. 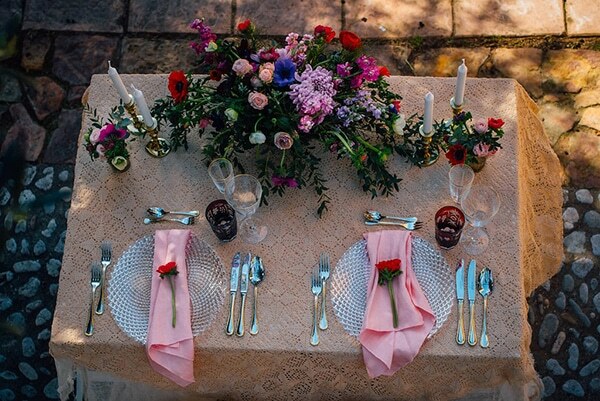 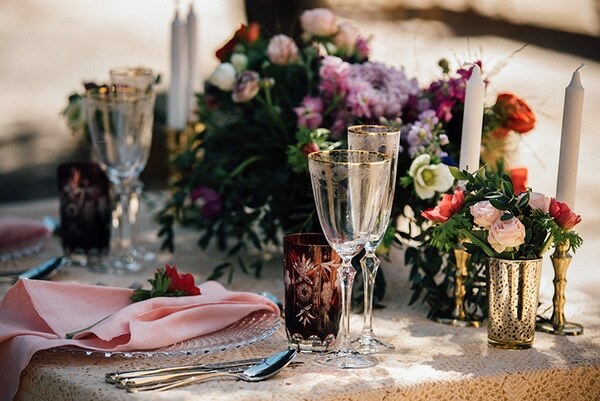 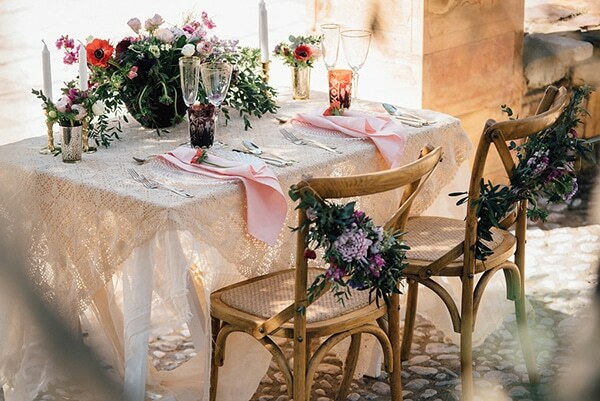 The colorful flower arrangements with various types of flowers in pink and red hues and the table decoration with vintage items composed a classy yet fun setting! 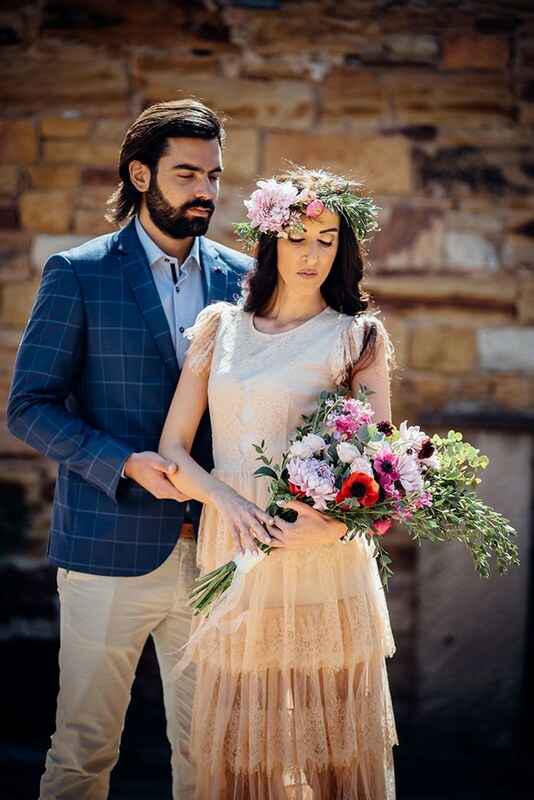 The romantic vintage wedding dresses matched perfectly the theme and the flower crown added a beautiful and sassy touch to the look! 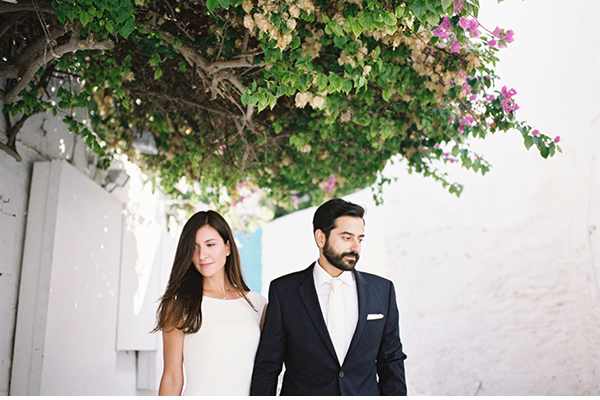 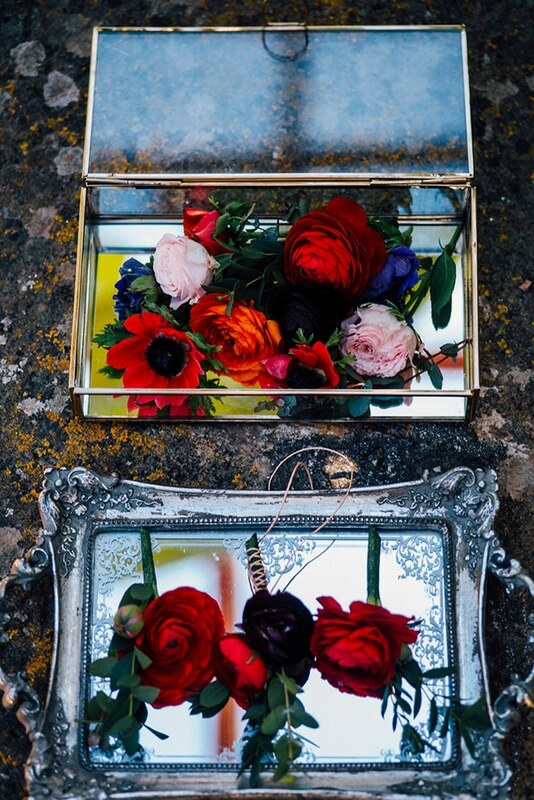 Have a look at the beautiful photos and get inspired for your elopement or intimate wedding! 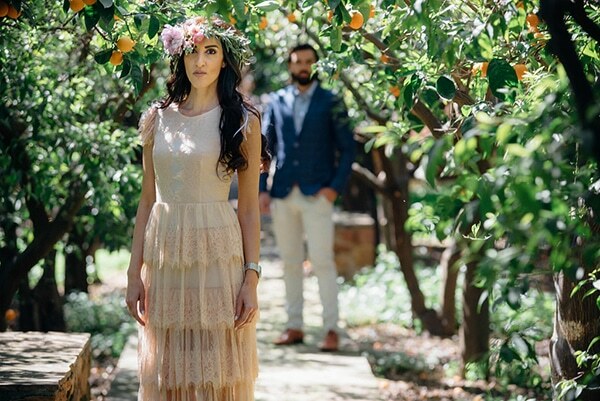 From planner, Joanna Loukaki: “Spoilt for choice for amazing Italian styled mansions with endless orchards of citrus groves, Chios is an excellent destination for off the beaten path intimate elopements and small weddings. 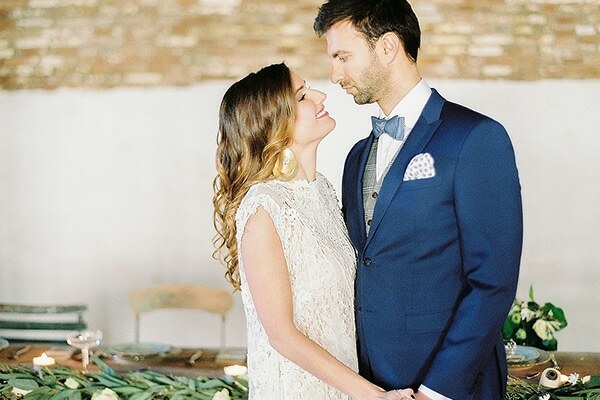 This light, airy, styled shoot is classy, fun and sassy. 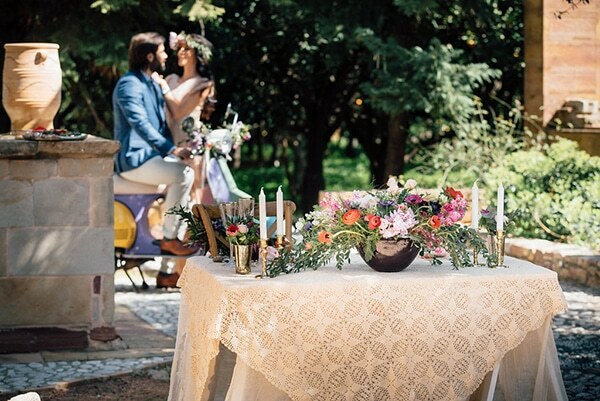 Captured in the grounds of Riziko Mansion in the heart of Kambos, a beautifully set up table for two was set up near the traditional water wheel. 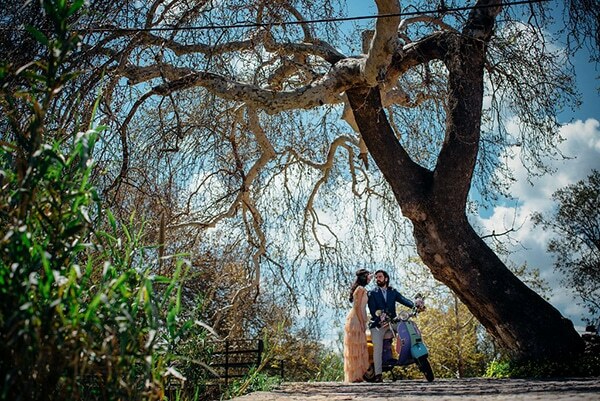 Our couple strolled through the orchard, the scent of the citrus fruit engulfed was overwhelming. 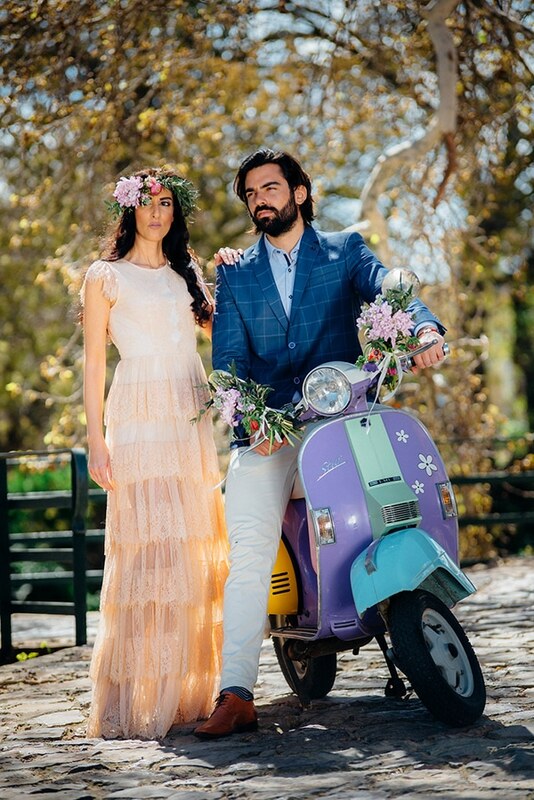 Lia and Nick left the beautiful mansion on their retro styled Vespa”.